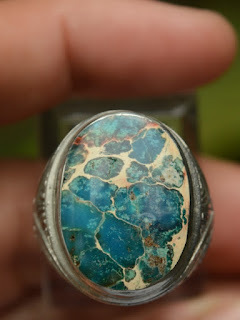 This is a very beautiful Natural Variscite. 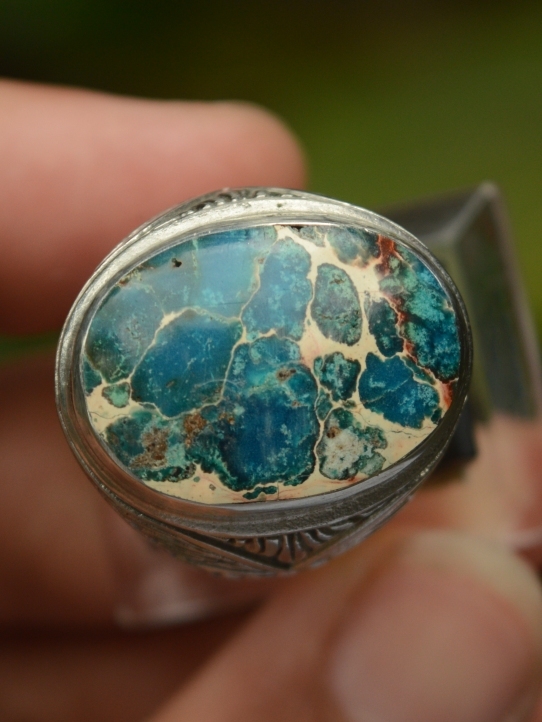 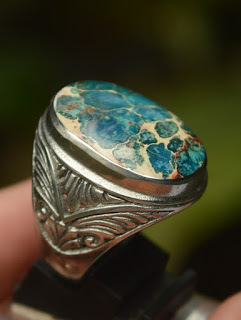 This gems looks like turquoise, that is why many Indonesian called this as "Nevada Turquoise". 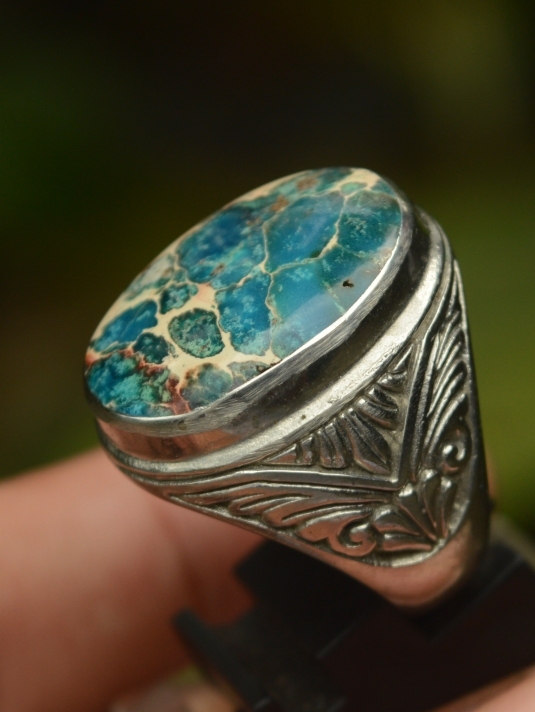 It is already set on a good 23mm alloy ring. 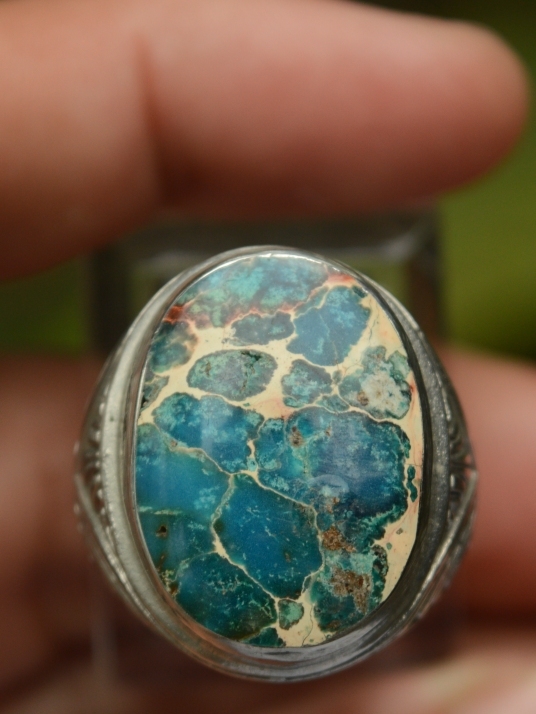 The size of the gems (est) 23mm x 17mm x 3,5mm. 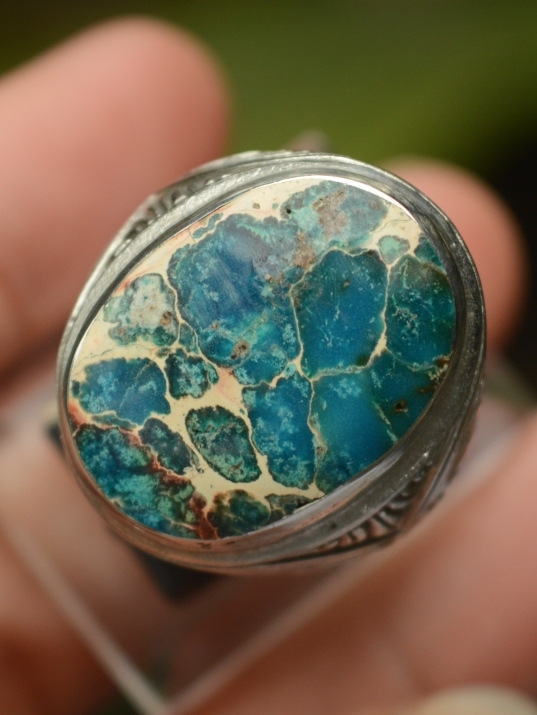 Get this beautiful Natural Variscite now! !